As is well known economics has been concerned with understanding how economies work in order to discover which policies could make them work better. Growth, distribution, inflation, trade and employment have been some of the main concerns of macroeconomic theories. Yet few economists foresaw the scale of the financial and economic crisis from 2008, and few have been able to propose alternative economic paradigms to respond to it. The main objective of the Colloquium was to provide a platform for a productive exchange of ideas, theories and policies that might identify such paradigm shifts and better inform policies for both national and global governance. Export Led Growth versus Growth Led Exports: What Matters for the Brazilian Growth Experience after Trade Liberalization? Is the Dividend Puzzle Solved? 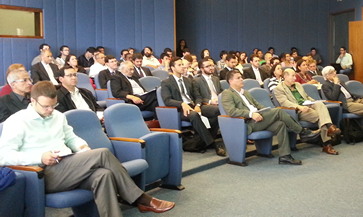 Main theme: "New paradigm for human development"
Brief presentations of Brazilian Fellows of WAAS attending the meeting. 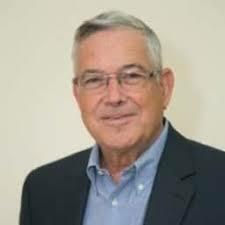 Special thanks to Prof. Joanilio Teixeira, Professor Emeritus, University of Brasilia and Fellow of WAAS. 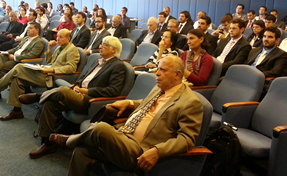 On the initiative of Joanílio Rodolpho Teixeira, Professor Emeritus at the University of Brasilia and Fellow of WAAS, the Academy was invited to participate in a high level economics conference in Brasilia on May 6-8, 2014 entitled “Global Crisis and Changes of Paradigms: Current Issues”. This was the 11th in a series of annual international economics conferences exploring alternative theory and strategy for addressing pressing global challenges. Economics has been primarily concerned with understanding how economies work in order to discover which policies could make them work better. Growth, distribution, inflation, trade and employment have been some of the main concerns of macroeconomic theories. Yet few economists foresaw the scale of the financial and economic crisis from 2008, and few have been able to propose alternative economic paradigms to respond to it. The main objective of the Colloquium was to provide a platform for a productive exchange of ideas, theories and policies that might identify possible paradigm shifts and better informed policies for both national and global governance. The event was sponsored by WAAS together with the University of Brasilia (UnB), the National Council for Scientific and Technological Development (CNPq), the Rio Branco Institute (Brazilian Ministry of External Relations), and the International Celso Furtado Center for Development Policies. WAAS President Heitor Gurgulino de Souza provided an overview of the work of the Academy related to the current global crisis. Winston Nagan, Chair of the Board of Trustees, explored the conceptual underpinnings, legal and human rights implications of the current neo-liberal paradigm. WAAS CEO Garry Jacobs provided an overview of the Academy’s New Paradigm initiative, highlighting the need for a comprehensive, trans-disciplinary, human-centered approach to human development, the urgent need for new theory and catalytic strategies that could be applied to accelerate the transition toward a more prosperous, equitable, and sustainable paradigm. A special session on the World Academy was conducted at Conselho Nacional de Desenvolvimento Científico e Tecnológico (CNPq) on May 8 and inaugurated by Glaucius Oliva, President of CNPq, and Heitor Gurgulino de Souza. Winston Nagan provided a historical perspective on the origins and mission of the World Academy. He traced the Academy’s commitment to the social responsibility of science back to the invention and first use of nuclear weapons, which raised serious concerns among the founders of WAAS regarding the social implications and policy consequences of knowledge. 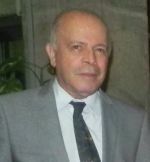 Emil Constantinescu, Former President of Romania who heads the Academy’s new center in Romania and its Euro-Mediterranean Initiative, examined the importance of fostering close relationships between the university and society. Garry Jacobs introduced the work of the World University Consortium to promote a global initiative to make world-class, affordable, socially-relevant higher education available to humanity. The World Academy of Art & Science was founded in 1960. Its first President, Lord John Boyd Orr of Scotland, was also the first Director-General of the FAO. Today the Academy has more than 700 Fellows from around the world who have been elected on the basis of high professional distinction, a distinctive and comprehensive global vision, and qualities of leadership important for engaging in programs and activities of the Academy. 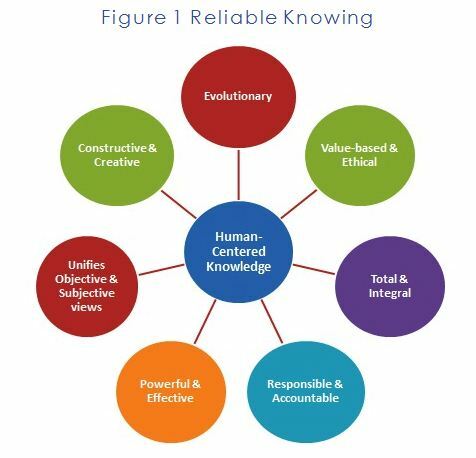 The Academy is distinctive in that it has an explicit emphasis on the social consequences of knowledge generation and, more importantly, the policy implications of knowledge that is produced. This mandate is further clarified by the motto of the Academy that stresses the idea that leadership in thought leads to leadership in action. The idea of founding an academy with this emphasis percolated in the minds of some of the world’s most eminent thinkers and scientists for many years. This line of thinking was triggered by two distinguished physicists, E. Fermi and L. Szilard, visiting Albert Einstein in the later part of 1939. They came to brief Einstein on the state of nuclear physics and, in particular, the speed with which it might be possible to produce a nuclear chain reaction in a large mass of uranium, capable of splitting the atom and producing unheard of volumes of energy. The potential destructiveness of these developments was by itself a matter of serious concern, but even more critically, the speed of German advances under Hitler made the matter a top security priority. Einstein wrote his famous letter to US President Roosevelt on August 2, 1939, notifying him of these scientific developments and recommending that the United States make the development of nuclear advances a major priority. Einstein was a pacifist and was a refugee from Nazi Germany. This must have been a difficult letter to write. His letter triggered the executive’s commitment to the development of nuclear science from a national security perspective. The Manhattan Project was launched with Robert Oppenheimer as the lead scientist. Control of the facility was put in the hands of a national security operative, General Groves. The project produced the first two atomic bombs in history. The decision to use the bomb did not concern itself with the views of the scientists as such. However, the detonation of the bombs over Hiroshima and Nagasaki demonstrated that the destructive capacity of these weapons exceeded scientific predictions. Moreover, these weapons of mass destruction put world politics into a new age of weapon systems of universal lethality. Robert Oppenheimer was not obviously a pacifist, but he quickly grasped the moral challenge posed by the atomic bomb. A famous quote on witnessing the first nuclear detonation is from the Bhagavad Gita: “The Lord said: Time [death] I am, the destroyer of the worlds, who has come to annihilate everyone. Even without your taking part all those arrayed in the [two] opposing ranks will be slain!” It became obvious to Oppenheimer that trying to influence further developments on ethical or moral grounds was going to be fiercely contested. Informal networking among major scientists and intellectuals over this issue led to the First International Conference on Science and Human Welfare in 1956. One of the results of this conference was an agreement among the participants to form a world academic international preparative committee. From this development, WAAS (World Academy of Art & Science) was founded in 1960. The charter members of the Academy were a veritable global Who’s Who of scientific, philosophical and social scientific distinction. The Academy aspired for a sense of communication regardless of national or ideological boundaries. Its objective was to be the world’s first informal university and its mission was the improvement of the human prospect. The Academy today remains deeply committed to world peace and universal human security, including the concern of its founders regarding the control, regulation, and ultimate abolition of weapons of mass destruction. But in the wider context of the multiple political, economic, social and ecological challenges confronting humanity today, WAAS has set itself the challenge of (a) deeper understanding of the current paradigm that shapes thinking, institutions, policies and the prevailing world order and (b) giving serious thought to the formulation of a new human-centered paradigm for development and global governance. Issues related to the need for a new paradigm have been explored at recent WAAS conferences at Trieste, the UN in Geneva, Library of Alexandria, Washington DC, Ottawa, UC Berkeley, Podgorica, and most recently, Baku. The project seeks a deeper understanding of the place of the individual human being in the global social process and the implications of fundamental human rights when applied on a global basis. Special emphasis is being placed on new paradigm in global education as an essential condition for effectively addressing global challenges, which has led to the founding of the World University Consortium. Recognizing the enormous scope, complexity and importance of these issues, WAAS is actively promoting close collaboration with other leading organizations including CERN, Club of Madrid, Club of Rome, European Leadership Network, European Movement International, Green Cross International, Institute for Cultural Diplomacy, Library of Alexandria, Mother’s Service Society, Partnership for Change and other organizations in an effort to leverage our complementary capabilities in pursuit of common goals.